The Tyler Prize Executive Committee announces the awarding of the 2006 Tyler Prize for Environmental Achievement on its thirty-third anniversary to Dr. David W. Schindler, and Prof. Dr. Igor A. Shiklomanov. Drs. Schindler and Shiklomanov have each made fundamental contributions to understanding and protecting aquatic resources through research, education and the influence of their work on national and global environmental policy. The 2006 Tyler Prize for Environmental Achievement is being awarded to Dr. David W. Schindler in recognition of discoveries, made through interdisciplinary experimental research and ecological hypothesis testing, that contribute to understanding how anthropogenic stressors affect the health of freshwater ecosystems. By decades of sustained experimentation on entire lake systems Schindler has revealed fundamental knowledge of how these systems work and how insults such as eutrophication, acid rain, and persistent toxic chemicals result in the loss of ecosystem function including reduction of biodiversity. Insights from his work provided guidance for mitigation of these adverse affects. He also has been a leader in documenting the impacts of global climate change on aquatic ecosystems and their resources. Schindler is both a pioneer and leader in the whole ecosystem level testing of ecological hypotheses and these long term investigations have provided many of the key foundations that have allowed us to link objective science with management and protection of aquatic environments worldwide. He also has made substantial contributions to the protection of aquatic resources through education and influence on global environmental policy. He is recognized for his contributions to the interests of society and the well being of life on the planet. Dr. Schindler was born in Fargo, North Dakota on August 3, 1940. He obtained his B.Sc. in Zoology in 1962 from North Dakota State University, Fargo, North Dakota, and his Doctor of Philosophy in 1966 in Ecology from the Bureau of Animal Population at Oxford University, England under the supervision of C.S. Elton. He began his career as an Assistant Professor of Biology at Trent University. In 1968 he became a Research Scientist and Program Leader, at the Experimental Limnology Program, Department of Fisheries and Oceans, Canada, Freshwater Institute where he remained until 1989 when he moved to his current position of Killam Memorial Chair and Professor of Ecology, Department of Biological Sciences, University of Alberta, Edmonton, Alberta. Dr. Schindler is a Fellow of the Royal Society of Canada (1983), and the Royal Society of London (UK 2001). He became a Distinguished Member of the International Water Academy, Oslo, Norway, in 1999. In 2002 he was elected a Member of the US National Academy of Sciences and a Foreign Member of the Royal Swedish Academy of Engineering Sciences in 2003. He was also elected an Officer of the Order of Canada, Office of the Governor General of Canada in 2004. He has received numerous honors, medals and awards beginning in 1965 with a Rhodes scholarship to Oxford University, England. He holds 9 honorary doctoral degrees. In 1984 he received the Frank Rigler Award, from the Canadian Society of Limnologists, and the Outstanding Achievement Award of the American Institute of Fisheries Research Biologists. He received the G.E. Hutchinson Medal, of the American Society of Limnology and Oceanography, in 1985 and the Naumann-Thienemann Medal of the International Limnological Society in 1989. He was awarded the First Stockholm Water Prize from the Stockholm Water Foundation in 1991. In that year he was also recognized by the City of Edmonton, with an Outstanding Achievement Award and a Citation of Appreciation from the Environment Canada Atmospheric Environment Service. In 1993 he received the Manning Distinguished Achievement Award, the First Romanowski Medal, from the Royal Society of Canada in 1994 and in 1996 the Walter Bean-Canada Trust Award for Environmental Sciences. He was a co-recipient of the Volvo Environment Prize in 1998. In 1999, he received the Alberta Science and Technology Award for Outstanding Leadership in Science.In 2001 he received the Award of Excellence, Natural Sciences and Engineering Research Council (Canada) and the Gerhard Herzberg Canada Gold Medal for Science and Engineering, Natural Sciences and Engineering Research Council (Canada). He also received the Canadian Nature Federation’s Douglas Pimlott Award for Conservation. In 2002 he received the Environment Canada, EcoLogo/Natural Marine Environmental Award, the City of Edmonton’s Award of Distinction, and the Queen’s Golden Jubilee Medal, Office of the Governor General of Canada. In 2003 he received the Killam Prize from Canada Council for the Arts and in 2004 was elected as one of 100 Edmontonians of the Century, in honour of Edmonton’s 2004 centennial year as well as receiving a Lifetime Achievement Award from the Canadian Institute for Environmental Law and Policy. Dr. Schindler has published over 280 articles and reports, over 20 of them in Science and Nature magazine His expertise and experience have supported the work of numerous expert committees and task forces. His research has had an impact at the highest international level His advice has been sought by the government of Canada as well as other countries and his findings have had a broad impact on global environmental policy. 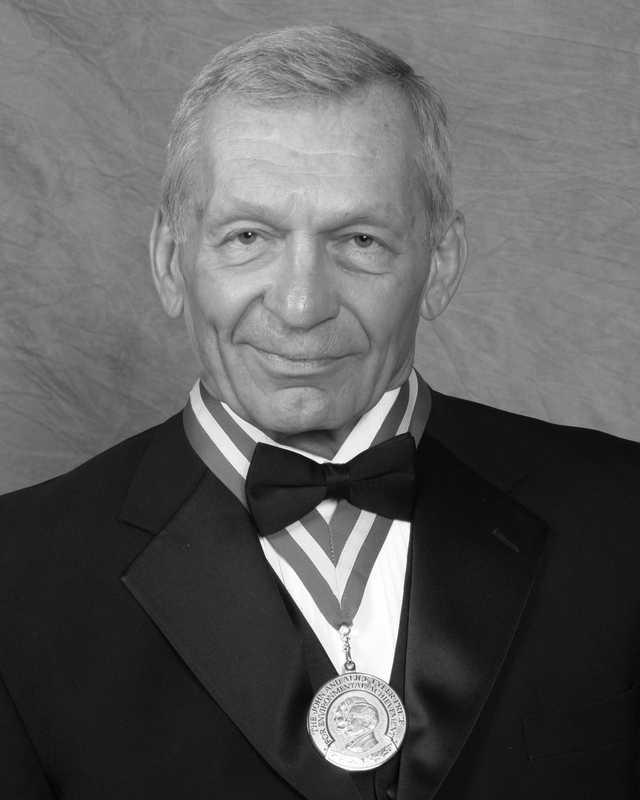 The 2006 Tyler Prize for Environmental Achievement is being awarded to Igor A. Shiklomanov in recognition of his contributions to advancing the understanding of the global water budget through quantitative assessment of the effects of water withdrawals on the water cycle and making projections for future generations. Dr. Igor Shiklomanov is recognized world wide as an international authority in the field of hydrology and water resources and for the development of methods for the assessment and forecasting of human impacts on river runoff, the dynamics of water use and water availability and the linkages between humanity and the world’s freshwater resources. His work takes a macro-scale hydrological perspective searching for the gross effects of the myriad of local water withdrawals. His work has affected the way in which we think about water usage worldwide, and the way in which international water projects are designed. During the 1970’s, Dr. Shiklomanov developed methods for assessing and predicting the large-scale effect of runoff on water systems in the Soviet Union. He developed models predicting the effects of state economic planning and population growth on changes in river runoff. His first contribution on this subject published in 1974 with G. P. Kalinin “Exploitation of the Earth’s Water Resources” and published in the United Nations Educational, Scientific, Cultural Organization (UNESCO) International Hydrologic Program (IHP) publication “World Water Balance and Water Resources of the Earth” was the first to comprehensively estimate renewable freshwater withdrawals on a global basis. During this period, he was able to estimate total worldwide water consumption over the period 1900-1970, and discovered that there had been a sharp increase in freshwater usage beginning in the 1950’s. During the 1980’s Dr. Shiklomanov developed more accurate methodologies for studying global water use. He was able to divide the world into 26 large physiogeographic regions characterized by more or less homogeneous geographic features and socio-economic development. This research continued in the 1990’s and culminated in his UNESCO and World Meteorological Organization (WMO) monographs, World Water Resources at the Beginning of the 21st Century and Water Resources as a Challenge of the Twenty-First Century. In these works, Dr. Shiklomanov predicted global water consumption under different developmental assumptions. He predicted dire circumstances for many regions of the world if conventional hydrological methods continued or if there was a return to large-scale water projects. Under his sustainable development scenario, though, world water consumption could be stabilized and water deficits eliminated in many regions. A more fully developed version of his sustainable development scenario has recently been worked out and is being used by various United Nations (UN) agencies as a guide for future developmental projects. His recent assessments and forecasts of the fresh water availability and use based on various scenarios of economic development and climate change in different parts of the World are widely recognized as the most realistic results. His work has demonstrated that degraded water supplies were a major obstacle to economic development in some countries in the latter half of the 20th century. Dr. Shiklomanov was born in the Tver Region of Russia on February 28, 1939. He studied at the Leningrad Hydrometerological Institute from 1956 to 1961 and began his career as an engineer/hydrologist at the State Hydrological Institute (SHI) from 1961 to 1963 where he steadily rose through the ranks of the Institute to become Deputy Director from 1972 to 1981. In 1977 he completed his Doctorate in Geographical Sciences Hydrology and Water Resources and in 1981 became the Director of the SHI, a position he has maintained up through the present time. He became a corresponding member in 1991 and in 2001 was selected Academician of the Russian Academy of Natural Sciences on Hydrology and Water Resources. He is the author of over 200 publications including 9 monographs on problems of water management; hydrological computations and ecological studies of water systems, large inter basin water transfers, and assessments of the impact of climate variability and change on water resources. His results have been published in numerous international publications of UNESCO, WMO and the International Association of Hydrological Sciences (IAHS). Prof. Shiklomanov was awarded the International Hydrological Prize in 2001 for his outstanding contributions to the field of hydrology. 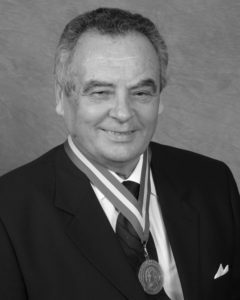 Professor Shiklomanov has served as a member or chair of numerous national and international committees, boards, and councils. He has been the Deputy Chairman of the Russian National Committee for the UNESCO/IHP since 1990 and served as the Chairman of the Intergovernmental Council of UNESCO’s IHP from 1992 to 1994. He has been a key member of the Scientific Steering Committee for the Global Energy and Water Cycle Experiment (GEWEX) World Climate Research Program (WCRP) since 1992 and was a lead author of Intergovernmental Panel on Climate Change (IPCC) working group third Assessment Report 1998-2000. Since 2000 he has been the Chairman of the Working Group on Water Resources of the WMO Commission for Hydrology and Vice-president of the International Commission on Surface water since 1999. His contributions to both the scientific community and the human community have been tremendous.